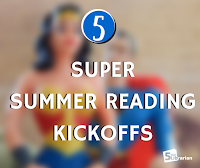 Libraries around the country are already starting their summer reading programs. There's a lot of great ideas for the superhero theme that the Collaborative Summer Library Program selected for this summer. 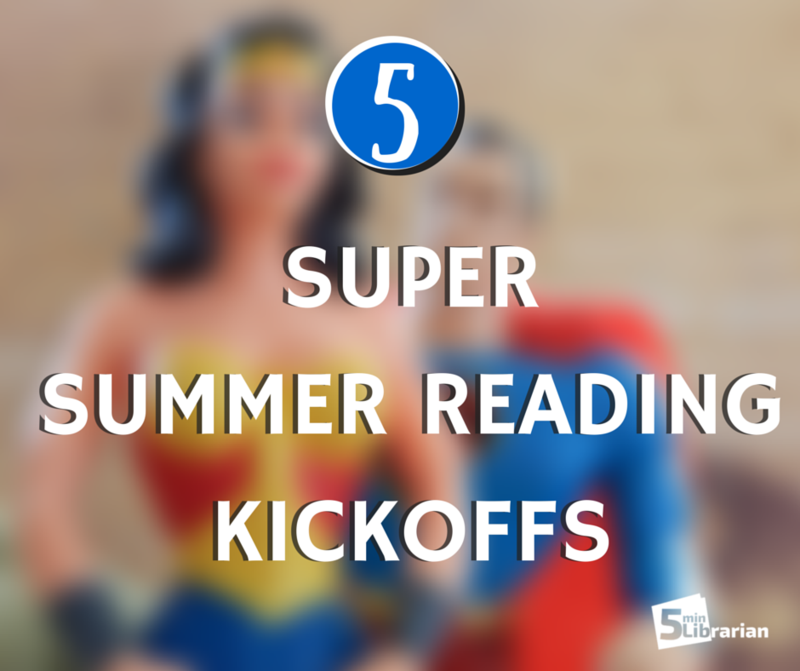 Whether or not you already kicked off your summer, we thought you might like to see what other libraries have done! Howard County Library System invited Batman to attend their Summer Reading Kickoff. Kids wrote a note to sick children for Batman to deliver, took super hero selfies, and flew like a super hero with a green screen! East Bank Regional Library hosted a mini comic-con for their Summer Reading Kickoff. Manga and comic book drawing sessions, costume contest, and a Steampunk exhibit. Bull Street Library had a miniature golf around the library with patrons coming in dressed up as superheros. Check out the awesome photos here in a slideshow. Farmington Public Library invited local hometown heroes to meet at the park for their Summer Reading kickoff. The police department, fire department, ambulance service, and the conservation department all came out to do presentations for the community about their roles and allowed patrons to check out their automobiles. The event started with the St. Louis Children's Critical Care helicopter making a perfect landing at the park. Carnegie Library of Pittsburgh holds an annual Summer Reading Extravaganza to get their summer program started. It is an all day affair with community partners that brings about an impressive list of events. We love the variety and the fact that most of these events run multiple times throughout the day, allowing patrons to come and go at their leisure. From interactive adventures to puppet shows to cooking demos and gardening to bilingual storytimes, it looks like a great event! Doing something different this summer? We'd love to hear about it!